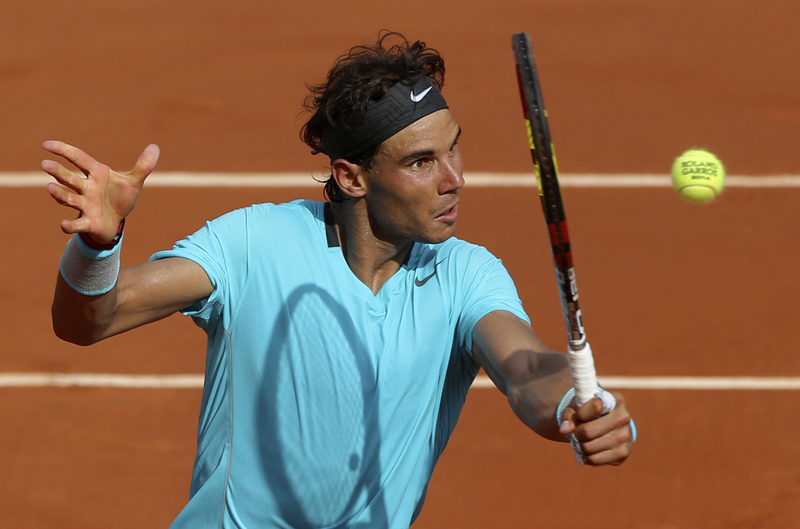 Rafael Nadal improves his record at Roland Garros to 66-1 with his four-set victory. PARIS —At the French Open, there’s just no one better than Rafael Nadal. The “King of Clay” proved that again on Sunday, winning the title at Roland Garros for the ninth time, and the fifth time in a row, by beating Novak Djokovic 3-6, 7-5, 6-2, 6-4 in the final. The Associated Press Rafael Nadal holds the trophy after winning the final of the French Open against Novak Djokovic Sunday in Paris. The Associated Press Rafael Nadal lifts up his cup after defeating Novak Djokovic in their final match of the French Open Sunday in Paris. The Associated Press Rafael Nadal volleys the ball to Novak Djokovic during their final match of the French Open Sunday. 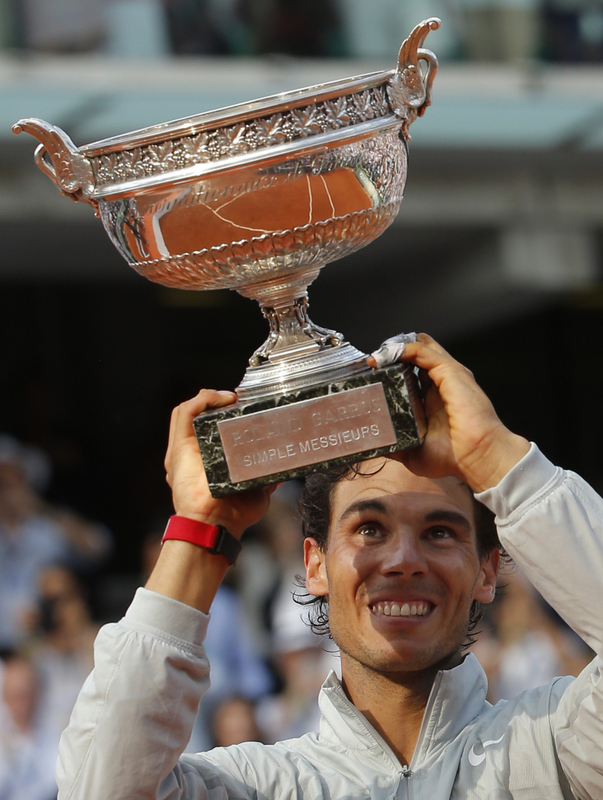 Nadal won his ninth French Open title with a 3-6, 7-5, 6-2, 6-4 win. 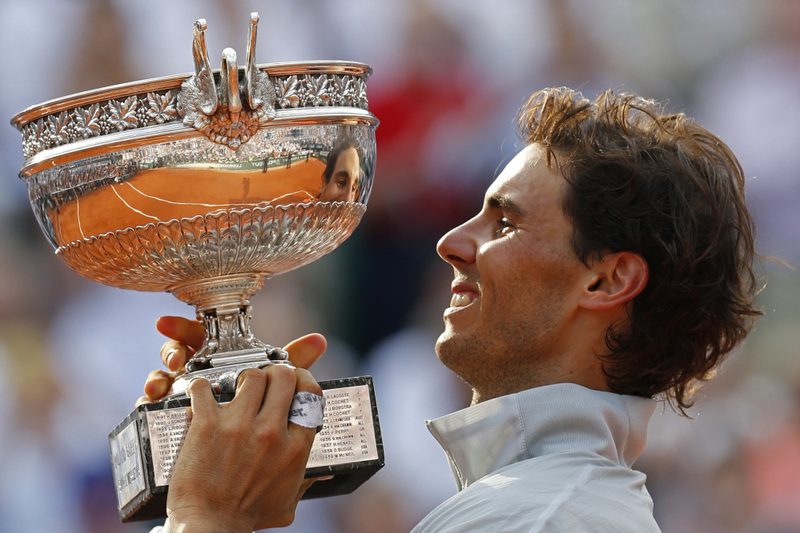 “For me, playing here in Roland Garros is just unforgettable, forever,” Nadal said on court. But it didn’t look too good at the start for the top-seeded Nadal. Djokovic won the first set and looked to be in control of nearly every point. The combination of Nadal finding his range and the heat on court, however, started to take its toll on the second-seeded Serb. Nadal is 23-19 against Djokovic overall, and 6-0 against him at Roland Garros. Djokovic took Nadal to five sets in last year’s French Open semifinals, and lost in four in the 2012 final. Entering Sunday’s match, however, Djokovic had won their previous four meetings, including winning the title in Rome on clay. The six-time major champion still needs a victory at the French Open to complete a career Grand Slam.